It's time for a NEW TABARCA!! You just love this style so much and we've decided to treat you with a delicious new version to keep you warm in style this cold winter. 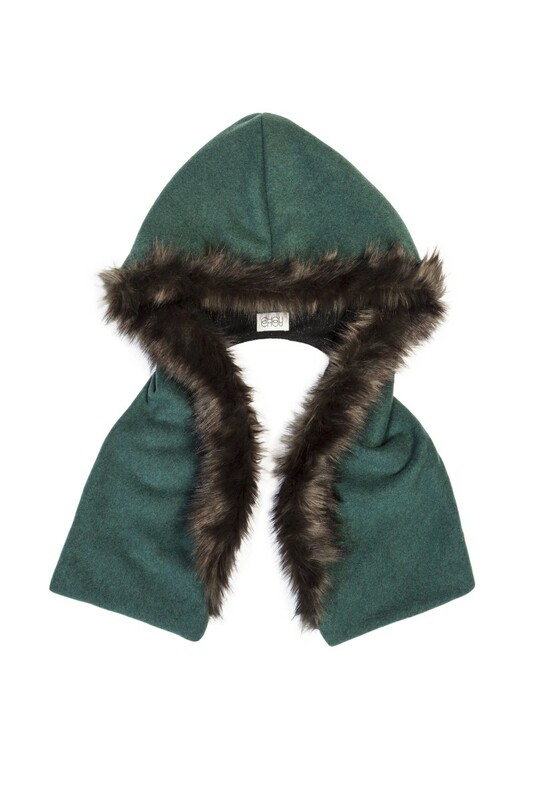 Crafted with a super soft petrol fabric and fully lined with a luxurious black wool with touches of silver this hood is one of our most treasured designs. Trimmed with sleek silvery green faux fur that shimmers when you move it is luxurious and casual at the same time. This hood goes perfectly with a variety of looks for day or night as it is fully reversible to give you styling options. Now all you have to do is pick the right shoes and you are HOOD to go ;).